Chreece Number 3 was one for the books. This was my first opportunity to experience the only hip-hop music festival in Indianapolis – a city whose thriving (and growing) cultural scene is often underestimated. 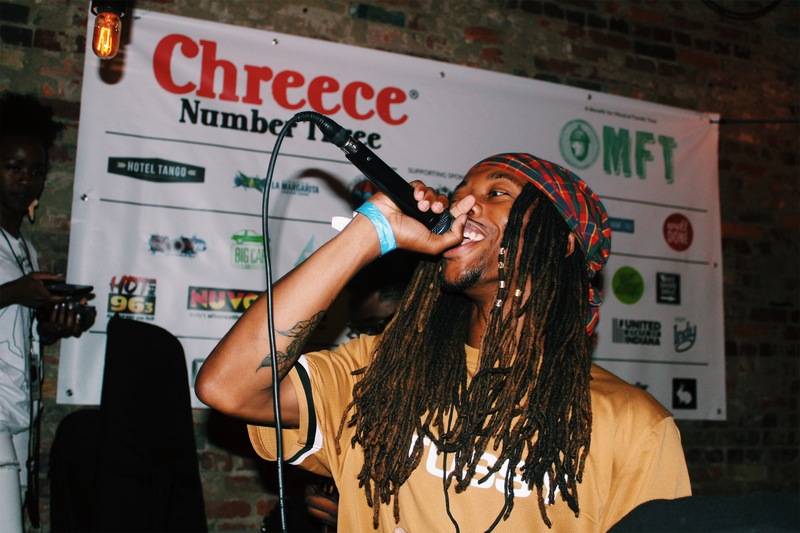 The Chreece festival proved once again that Indianapolis and its artists deserve more attention from both its own community members and those peeking in from the outside. I use the term “incubator” because to its residents, Indianapolis seems like a small town – so small, in fact, that it seems everyone involved in the culture knows everyone else. Whether for good or for bad, this tight community eventually fosters growth within each individual artist and within the growth of the community itself. The quaint Fountain Square neighborhood was buzzing Saturday – artists of every medium offered their positivity and support, exchanging cards, mixtapes, t-shirts and love. Peep photos from the jam-packed day below and follow the artists to show more love! Jeremiah Stokes is an example of hip-hop’s reinvention, blending bars with a rock star persona. Names familiar to the Soul Culture site were also present at Chreece. Both Double A and Willis performed to crowds with singles from their recent album drops. Double A performed to a packed out crowd at record shop Square Cat Vinyl. Willis rocked the Hoosier Dome with tracks from his newest project, Soul Shoes. During Bury Me In Gold, he invited feature artist Paper Cleveland for a live cameo. Poindexter (the Great) brought his usual high energy to his performance at the Hoosier Dome. Most notably, he finished the set with a theatrical performance of Light Skinned Hoes. If you’re unfamiliar, watch this. I don’t want to ruin the surprise. The New Wave Collective includes rap soloists Don Chambers, J-Ice and Fre$co. Chreece was my perfect introduction to Sonny Paradise, who rocked his tracks at Square Cat Vinyl with a live band. It wouldn’t be a hip-hop festival without live snaps of Nap’s best streetwear. The founder and designer of Indianapolis-based streetwear brand, Komafi, was posted outside of Hi-Fi to feature his signature pieces. He originally began his experience with fashion by creating merchandise for his undergraduate university, then branched out to design his very own brand. 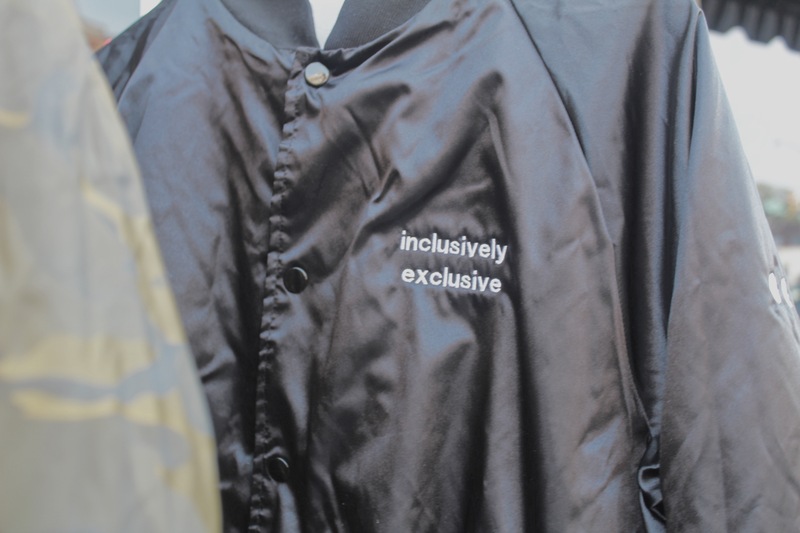 46/50: each Komafi piece is individually labeled to highlight its exclusivity. Velour hoodie + a bulletproof vest. That has to be a song lyric somewhere. While I loved the positivity and energy of the fest, I was challenged by the fleeting confidence in Indianapolis’ ability to be a cultural hub. There are plenty of events and artists to support year-round, and I hope that the same sense of community and support will continue to exist, even outside of a huge gathering like Chreece. For more Chreece footage, watch an audiovisual recap created by Zander Nunnelly below.